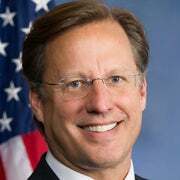 Dave Brat, a Republican, represents the seventh congressional district in Virginia. A year ago, no one would have thought this was possible. The newly elected House Speaker Paul Ryan, R-Wis., has verbally agreed to change the way leadership distributes power and authority in Congress. Before, many key deals would be pre-negotiated between House Speaker John Boehner, R-Ohio, and Minority Leader Nancy Pelosi, D-Calif., and passed with the support of fewer than half of the Republicans. Speaker Ryan has promised to put an end to this top-down approach. Ryan has said there will be no more backroom deals and late-night votes on 1,000-plus page bills members haven’t even read. He has promised that bills that we vote on will have gone through the committee pipeline for weeks—rather than hours—and that members will have had ample opportunity to voice their opinion and offer amendments. 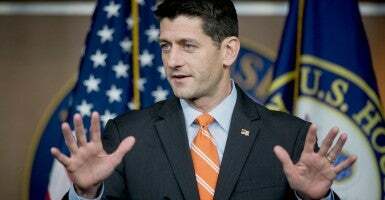 “When we do not follow regular order—when we rush to pass bills a lot of us do not understand—we are not doing our job,” said Ryan. The speaker also promised to end retribution against Republicans when they vote in line with their constituents. That means there should be no more talk of people getting kicked off their committees or losing their leadership positions for voting their conscience. The House Freedom Caucus is largely responsible for bringing these issues to the attention of the American people. We did this because we must speak for the American people who feel their government no longer represents them. This is not presumptuous; this is our duty. This was never about a personality or an ideology; it was about the process. Personalities come and go, but processes remain. I have always made my decisions based on principles, and by putting the right processes in place, members who vote on principle can truly represent the will of their constituents. This is also how I approached my vote for speaker: by listening to my constituents and to my conscience. The hundreds of constituents who flooded my office with calls were overwhelmingly in favor of a fresh new face. As candidates entered the speaker race, I sent each one a list of commitments based on the issues that my constituents are concerned about. I asked each of the candidates whether he or she would commit to the principles on paper. It was important to my constituents that the new leader be willing to be held accountable for promises made. This list included a number of modest proposals like balancing the budget within 10 years, enforcing the rule of law, promoting fiscal responsibility, and allowing for full debate of legislation on the House floor. Rep. Daniel Webster, R-Fla., responded most favorably to these principles, and even though he has a less conservative voting record than Ryan, he committed to restoring a more inclusive and open legislative process. Ultimately, my vote was cast based on the set of principles that would best serve the House going forward, not the particular votes of individuals or personalities. Even though Ryan did not respond to my list specifically, he committed to many of these principles in his acceptance speech. Ryan and I have similar views on procedure and reforming the committee structure so that the House can return to regular order. To have a real representative democracy, legislation must go through the committee process. Last year’s budget, which violated all fiscal discipline and increased the deficit by $30 billion, occurred because leadership bypassed the committee process. While process is important, the final product is even more important. The American people ultimately don’t care about the House process; what they do care about is their kids’ job prospects, falling real incomes, foreign policy blunders, and exploding debt. The debt will be over $20 trillion by the time President Obama leaves office; it was about $10 trillion when he came in. Everyone in D.C. claims to care about the children, but the numbers say otherwise. Going forward, we have big problems to tackle and bitter medicine to take. Seventy-two percent of Republicans are upset with their own leadership because Congress has done very little to address these very real concerns. While some say don’t rock the boat for fear of losing the presidential election, I say if you want to win the presidential election, you’d better pay attention to the 72 percent. Now is the time to ensure that our agenda in Congress looks like that of the American people and less like the special interests that have driven us into this fiscal ditch.